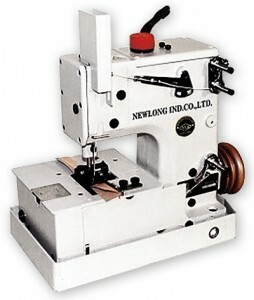 The Newlong Industrial DN5U with upper and lower feed from Japan is a table top sewing machine to produce Bags, Connect Geotextiles and connect pieces of artificial Turf (Lawn). The special extra of this machine is that it is the only machine that has an upper and lower feed together with an oil bath. This mean things like Sand do not get a change to get into the machine making it specially an ideal machine for a variety of Artifical Lawns installation.